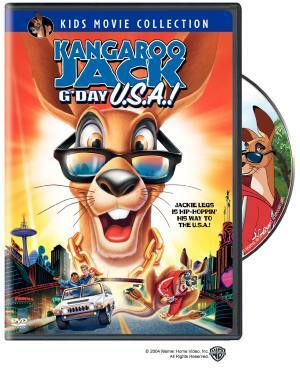 Kangaroo-Jack: G’day USA is incredibly funny. It’s about a wonderful kangaroo that gets caught in his home Australia and is sent to Las Vegas for an animal show. The job of saving his of course goes to his friends Lois, Charlie and Jessie. There’s a jewel heist, and the FBI thinks they’re the crooks! Jack goes through a lot, such as jumping across cars, skiing and messing up the casino! This DVD also contains lots of Bonus Features.